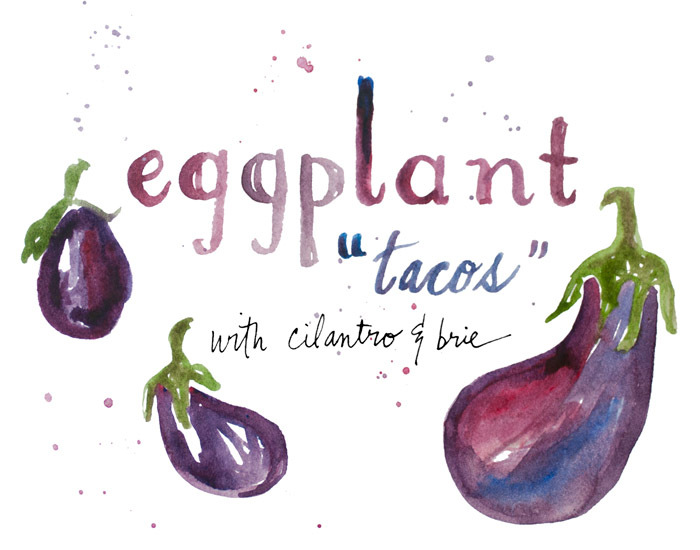 These eggplant “tacos” are a tasty appetizer… It’s basically just a little round of baked eggplant with brie and cilantro in the middle, folded up like a mini taco! You could also serve them alongside a main course as a vegetable. I bake/roast the eggplant rounds on a greased cookie sheet, drizzled with olive oil (generously) plus a bit of sea salt if you wish. If you flip the eggplant half way through, it’ll get brown on both sides. About 8 minutes on each side worked for me- but watch them closely- if some slices are thinner, they’ll cook faster. I could eat a whole plate of these….Enjoy!